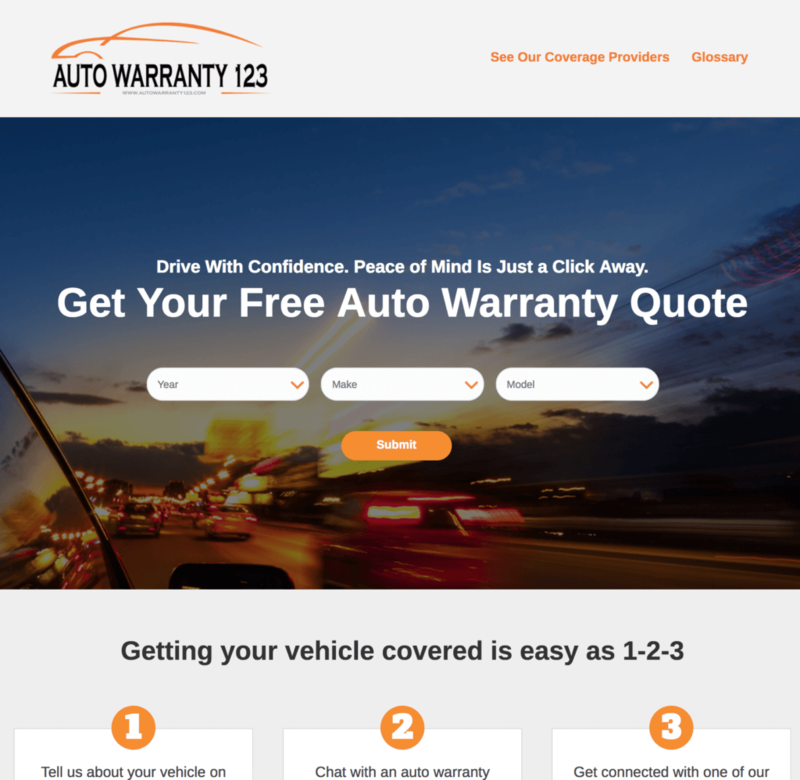 AutoWarranty123.com offers extended warranties for car owners. For their new website, we researched online data sources to provide up-to-date year/make/model information for every car manufactured since the mid 90s. That seems easy enough, but when you consider the combinations, it’s mind-boggling: We display 24 years, with approximately 50 manufacturers (it varies by year as some manufacturers go out of business and new ones go to market), and an average of 7 models for each manufacturer. That’s 8400 different vehicles that the site needs to display, and that’s just on the customer side of things. Behind the scenes, we provided custom development to pull that year/make/model information over the internet into an easy-to-use set of dropdowns on the website home page. Once the customer chooses their year/make/model, we pass that information on to another form that collects the customer’s personal information, then the site packages all of the information together, stores it in a database that’s accessible through the WordPress admin login, and transmits a copy via email to AutoWarranty123 headquarters. And of course, all of that behind-the-scenes custom functionality and API integration is wrapped up in an attractive and fully responsive site that looks and works as well on mobile devices as it does on desktop. What can we make for your business? February 2018 Update: Edmunds shut down their public auto data API, so AutoWarranty123 had us recode the site to use static data in the dropdown fields. Still works fine, just requires minor updates each year.